Have you recently build a new website? Are you looking for an SEO guy to help you rank your website better? Do you want more traffic and better visibility for your website? If all these questions are circling in your mind, then this blog is definitely going to help you. 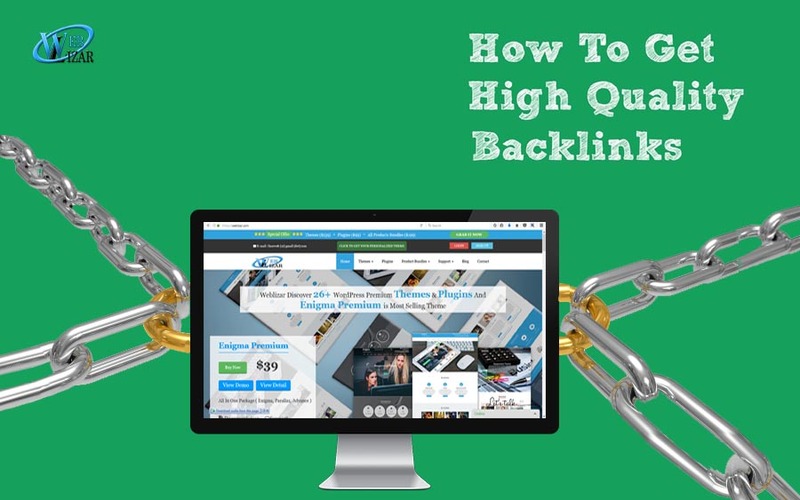 Today, we are going to talk about how to make high-quality backlinks for your website or if you are an SEO learner joined at the intermediate level then this blog is going to benefit you for sure. A backlink is a link on any other website which redirects the user back to your website through which you gather a lot of traffic and online reputation of being a trustworthy website(if the backlink is coming from a trustworthy source). In more simpler and shorter words, it is an incoming hyperlink from one web page to another website. In the past, backlinks were the major metric for the ranking of a web page. A page with a lot of backlinks tended to rank higher on all major search engines, including Google. This is still true to a large extent. Blog commenting is one of the best way of SEO to build high-quality backlink. You can get lots of traffic by blog commenting. To make blog comment you need to find keyword related sites. Go to Google.com and search with bellow terms. Guest blogging is still one of the most popular and quality SEO method to build high-quality backlink. But you must need to find your keyword related blogs. Guest blogging can bring thousand of quality visitors along with high-quality backlinks. Link Juice: When a web page links to any of your articles or your website’s homepage, it passes “link juice”. This link juice helps with the ranking of the article, and also improves the domain authority. As a blogger, you can stop passing link juice by using a no-follow tag. Example: Links from comments on other blogs. Do-Follow Link: By default, all the links that you add into a blog post are do-follow links, and these pass link juice. Before I talk about the advantages of backlinks, you need to know that much has changed concerning backlinks in the past couple of years. There was a time when even low-quality links helped in ranking a site. But now, the whole landscape of backlinking has been changed. It is important to have backlinks from quality sites, and those backlinks should be contextual. If for example, you have a site about fish, and you are creating links from other niche sites about monkeys, these links will be of no use. Your goal should be to get links from authoritative and relevant sites. This are all methods through which you can search for your relevant types of blogs that suit your business niche and can make high-quality backlinks to attain better ranking and better visibility in search engines. If I’ve left any other option or you’ve got something more to add, feel free to comment in the comment section below. I hope you’ve learned a bit about how to make high-quality backlinks for your blog or your website. Also as a bonus we’ve How To Use Instagram To Promote Your Business. A quick guide to making the best use out of Instagram.